The population of vultures in Madhya Pradesh has increased by 12 per cent, the latest survey done by the state government has claimed. The survey, conducted on January 12, found that there are now 7,906 vultures in Madhya Pradesh, an increase of 864 vultures from the last count done in 2016. In the last two surveys done in 2016, 6,999 vultures had been counted in January and 7,057 in May. Forest department personnel conducted the survey in 1,275 locations across the state, including its seven tiger reserves and the Kuno-Palpur Wildlife Sanctuary. 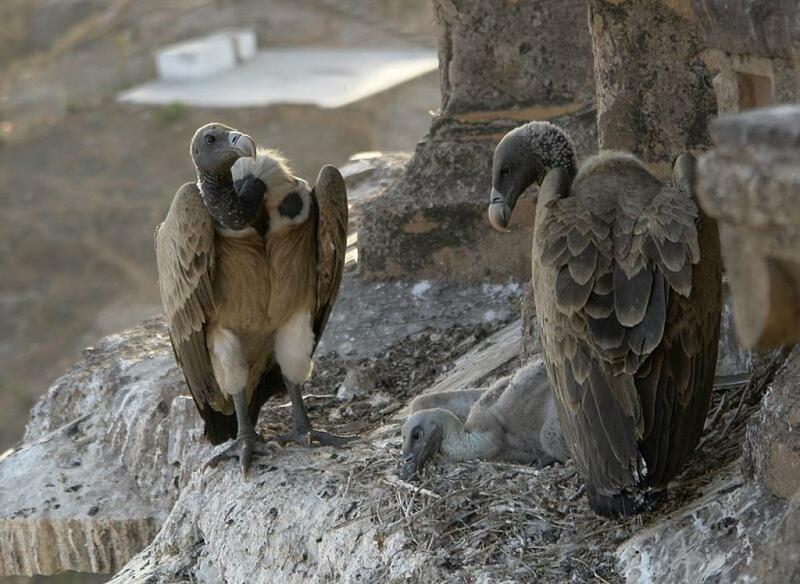 They found that 45 per cent of the vultures in the state were found in the protected areas. Among the districts, the maximum number of 658 was spotted in Raisen, followed by 650 in Mandsaur. However, there are some points of concern as well. There has been a decline in vulture numbers in four of the seven tiger reserves in Madhya Pradesh and also in the Kuno-Palpur Wildlife Sanctuary. Of the seven tiger reserves, there has been a 30 per cent fall in Panna Tiger reserve, where the count fell from 811 in 2016 to 567. Kuno recorded a fall of over 32 per cent—from 361 in 2016 to 242 this year. Diclofenac, a painkiller used to treat livestock, was behind the decimation of India’s vulture population. The vultures died of renal failure after eating carcasses of cattle treated with the drug.